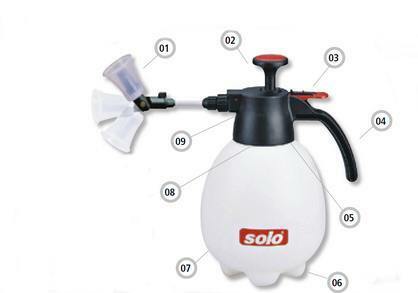 Small sprayers professionally equipped, a useful volume of 1L, Viton sealing gaskets and a fixed handle device. The robust pump reaches the required working pressure after only a few touches. The guidance nozzles can provide access to places that are difficult to reach such as the lower part of the leaves. The superior quality nozzle is adjustable and can create any effect of the spray boom, from a strong airflow to a fine cloud.